Jutta completed her undergraduate studies in Biology at the State University of São Paulo (UNESP) and her Ph.D. in Geography at the University of Tübingen, Germany. Then she worked for the United Nations (Food and Agriculture Organization in Rome and in Ecuador) and for a non-governmental research institute (CEDEC) in São Paulo. She has worked for the University of Tübingen/Germany and the University of Newcastle/Australia. She is a Full Professor at the Department of Geography, at the University of Victoria. Her current research interests are on sustainable livelihoods and community development with a specific focus on participation, co-management and poverty reduction strategies. She is involved in research on waste governance and participatory forms of resource management, particularly in the global South. She teaches in the fields of Social and Development Geography, and is director of the community-based research laboratory. For more information, please visit her website here. 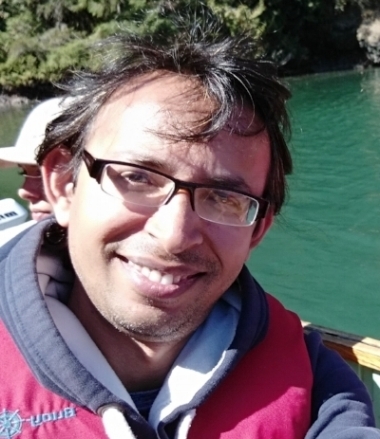 Dr. Nazim Uddin is currently working as a Post-Doctoral Fellow at the Department of Geography of the University of Victoria. He joined CBRL on March 2016 and working for multiple research projects under the lab. His current action research is focused on 'Inclusive Solid Waste Management System and Governance in Mongolia, Canada, Kenya, Brazil, Sweden, and Bangladesh' and is funded by various funding agencies including Social Science and Humanities Research Council (SSHRC) Canada. He completed his PhD in the field of Environmental Science and Engineering from the University of Science and Technology Beijing (USTB), China. He has over 10 years of experience in research, teaching, and project management in the fields of WASH, sustainable sanitation, waste management, community development, and disaster management. Abdolzaher or Zaher grew up in Iran and moved to Victoria to pursue his Masters in Geography with Prof. Jutta Gutberlet. He has always enjoyed learning about ecology and community planning, however became particularly attracted with urban agriculture during his master’s degree at the University of Allameh Tabatabai in Iran. Moreover, his bachelor and master’s degrees were urban and regional planning in Guilan and Allameh Tabatabi Universities respectively. For his PhD, he will continue urban agriculture in community and city in order to improving sustainability of the cities. Andre Redivo is a geographer who did his undergraduate at the University of Brasilia. He has a strong background in GIS, spatial database management and spatial analysis. He worked as a consultant for several UN agencies such as UNDP, UNESCO and PAHO, as well as in the Presidency of the Republic of Brazil and in the Brazilian Ministries of Environment, Tourism, Transport and Justice. His work aimed to support decision makers within the Brazilian government through the development of applications and methodologies based on open source software in order to subsidize the elaboration of public policies. 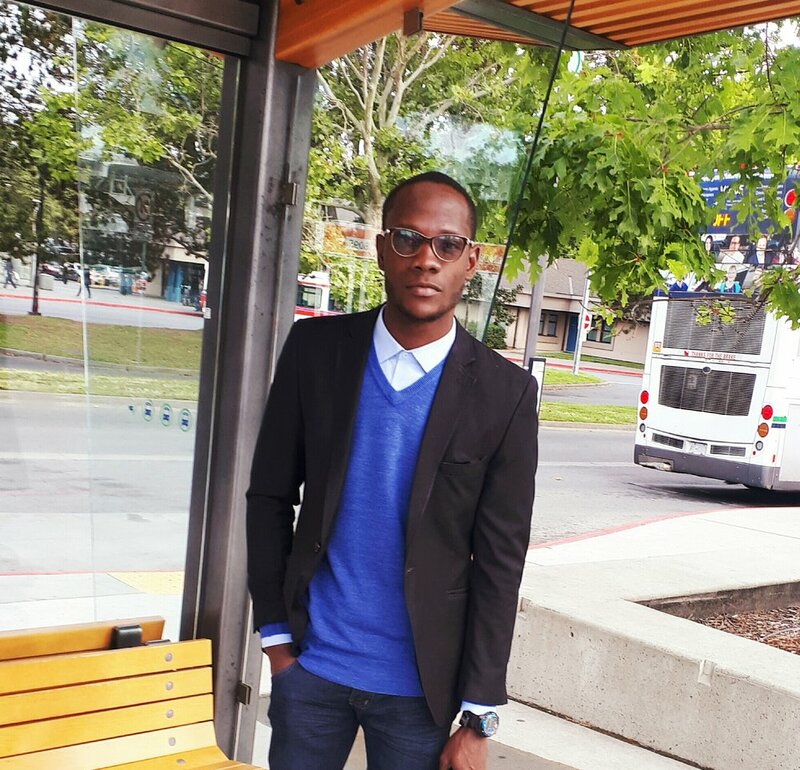 Currently he is a Masters student at the University of Victoria, interested in the waste pickers cooperatives and the global carbon market. Dare Sholanke is from Nigeria. He has a Bachelor’s degree in Environmental Management and Toxicology (B.EMT) from the Federal University of Agriculture, Abeokuta, Ogun State, Nigeria. He is currently developing his Masters thesis in the department of Geography. His research interests include waste management, resource management, environmental pollution, and land use planning. He is working on a case study mapping waste governance with waste pickers (binners) in Vancouver and Montreal. Katlyn is extremely passionate about the environment and the ocean. Growing up in Winnipeg, it has always been her dream to move to the west coast to pursue a career in marine conservation. 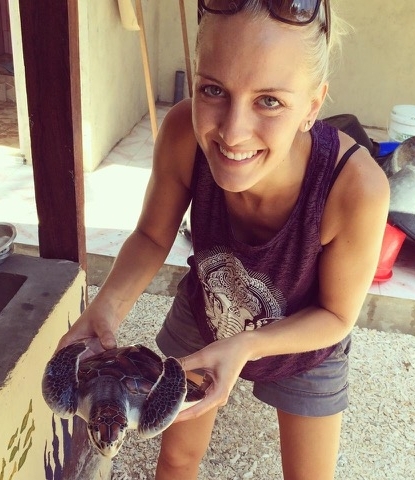 After completing her undergraduate degree in Environmental Science with a focus in Conservation and Biodiversity at the University of Manitoba in 2014, she spent some time in Kenya and Indonesia volunteering in various community outreach and conservation projects. She has a passion for travelling to new places, being outdoors and exploring with her dog. For her Masters in Geography, she will be focusing on the issue of plastic waste along coastal regions in the Global South. She hopes to work with communities to create more awareness around the issues associated with plastic in the marine environment, organize beach clean-ups, and drive policy change in those areas. Katlyn is also a member of the Society for Ecological Restoration and Surfrider Foundation here on Vancouver Island. Maeva is passionate about marine ecology, coastal communities, communications, and filmmaking. Originally from Quebec, she came to Victoria to complete a MSc in Marine Ecology (Univ. of Victoria) after a BSc in biology (Univ. of Quebec in Montreal). For the past 10 years, she's been involved in ocean outreach and education projects, including short film productions, live media, public speaking, magazine writing, and educational projects. She was lucky enough to go to the Antarctic and the Arctic in 2009, and has been going back to the Arctic a few times ever since. In 2011, she co-founded Fish Eye Project, now called Live It, providing live streaming from sea to space connecting experts in the field in real-time with classrooms. For her Ph.D., she is using Participatory Video as a tool to engage Arctic communities around global change, such as microplastics and what it means for their subsistence foods. For more information, visit Maeva's website. Before coming to Canada and settled in Victoria to pursue further education at the University of Victoria, Juliana has completed her first degree in Nutrition in the Universidade Estadual Paulista (UNESP) with 5 years of working experience at her native country, Brazil. Juliana joined CBRL recently in 2018 as a research assistant while she continues to pursue her second bachelor degree in (BA)Geography. Because of her deep interest in waste management, sustainability of natural resources, and social justice, Juliana has been volunteering at the UVSS Food Bank & Free Store, as well as recently started to become engaged in events at the local Repair Cafe. After obtaining her current BA degree, Juliana plans to continue pursuing her passion for research in Geography by becoming a Masters student, with the research focus on advocating, promoting, and expanding the local Repair Cafe project to make it more accessible for the students and faculty members in the University of Victoria. 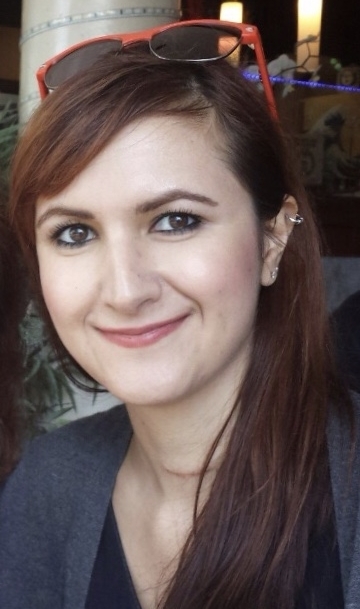 Sasha joined the CBRL in 2018 as a research assistant. She is working towards a double major in Environmental Studies and Geography with a concentration in Urban Health and Development. Her interests revolve around relationships between people and the environment and is particularly interested in sustainability and human/nature hybridity within cities. Sasha became interested in PSWM during an internship with New Delhi based NGO PRIA (Participatory Research in Asia) where she contributed to a study involving waste pickers and solid waste management. She is grateful for the opportunity to integrate this international experience with the CBRL team at UVic. Alicia joined the CBRL in 2017 to provide research support through a work study position at the University of Victoria. Alicia is working toward a BSc in Geography with a minor in Economics. She has always had a passion for learning about human relationships with the environment and has been involved with a variety of initiatives through the university and community. As a result of these experiences, she has taken particular interest in the management of water and waste resources. Alicia spent the summer of 2014 working for Engineering and Environmental Services with the Cowichan Valley Regional District, gaining insight into some of the intense challenges facing Vancouver Island. In 2016 she worked with the POLIS Water Sustainability Project, and as well with the BC Housing Community Development program. In 2017 she volunteered at VerdEnergia, an agro-forestry restoration project in Costa Rica. Currently she also coordinates the UVic Ecological Restoration Volunteer Network. She is keen to join the community of people working creatively for environmental and economic justice and resilience. Ana completed her undergraduate studies in Human Geography at Simon Fraser University. She joined the CBRL lab in 2017 to assist with research projects. Her research interests include health hazards associated with recycling and handling waste and ways to improve the health and safety of waste pickers.